After a dispute over unrelated immigration reform legislation, the unveiling of a US senate climate bill has been postponed. Lech Kaczynski, the Polish president (photo, from aljazeera.net), and several members of his government have died in a plane crash near Smolensk airport in western Russia. 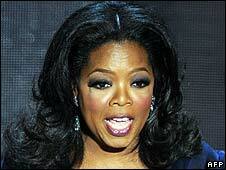 Oprah Winfrey (photo, from bbc.co.uk) will host a night-time programme on the cable TV channel she is launching in January. 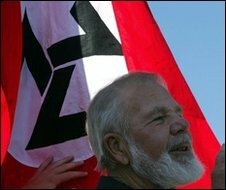 South African president Jacob Zuma called for national unity after the murder of white supremacists leader Eugene Terreblanche (photo, from bbc.co.uk).